Welcome to the Healers page, below is a list of healing people who have counseled and guided me, improved my mental health, increased my vitality, given me hope, eased my spiritual torment, protected me, and have helped heal my physical body in unbelievable ways. Listed are licensed chiropractors, reiki practitioners, medicine women, shamans, astrologers, witches, teachers, mothers, fathers, and guides who I trust and love. I believe it takes many mothers to heal us, these are some of the healing people that have changed my life, and hopefully will help to change yours. My name is Domonique and I am a disabled, queer, latinx, intuitive reiki healer, seer, big sister, and the creator of Universal Mother, a site and collective connecting you to the healing people, places, and remedies that have shaped my evolution. After surviving years of psychological, spiritual, and physical trauma, I discovered the incredible and effective benefits of alternative healing, from reiki to chiropractic care, transforming my life, where I have reached a state of physical and mental wellness I never dreamed possible. I believe my unique experiences have provided me with priceless wisdom, inner strength, and an endless amount of compassion for those that seek my help. I honor my ancestors and my family through my practice. Everything you need to know is coded in your bones, everyone has the power to heal themselves, just sometimes we get stuck, let me help you get unstuck. Read more about my healing journey here. I offer you an experience and a journey to assist in your souls evolution and an alignment to your highest purpose. This work is an alignment of your body, mind and spirit. My intention is to clear the discord and stagnation in your energy field, so that your radiant spirit is guiding you on your path to an enlightening experience. You deserve to live the life of your dreams and fulfil your souls purpose. You deserve to live a life filled with joy and happiness. This is the art of transformation and you are the masterpiece. By shifting the energy linked to destructive thought patterns in a persons field, I can assist you to create a life that is a living breathing exquisite work of art, fulfilled and passionate, vibrant and ecstatic to be alive. I acknowledge that all healing comes from the divine. When we align with the divine plan – miracles happen. Shine Blackhawk received her name from a Lakota medicine man in a sacred ceremony where many gifts were spoken onto her. She currently resides in New York where she practices the craft of a solitary witch, crafting potions from wild flowers, roots and herbs….channeling spirit guides and animal totems to assist in the process of healing, releasing and tuning into ones own personal power. Ida Feshangchi is a tarot reader and Okuden Reiki practitioner of Usui Reiki with 13 years of experience in the metaphysical sciences and healing arts. There is great symbolism in the cards and archetypes that we can all relate to and Ida will help connect you to wisdom, clarity, guidance and comfort, while providing a space for the body, spirit and mind to relax and heal. 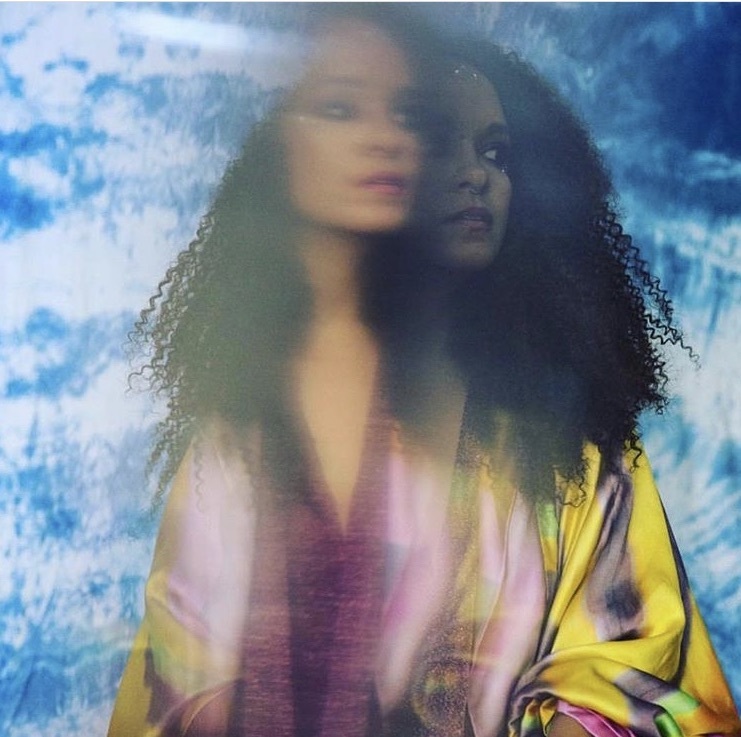 Aja Daashuur is a Certified Intuitive & Transformational Life Coach (LPI), Spirit Guide Medium, Akashic Records Reader, Sound Bath Practitioner, and founder of Spirit House Collective. She is a true believer in the innate power every woman has to achieve success through self love. 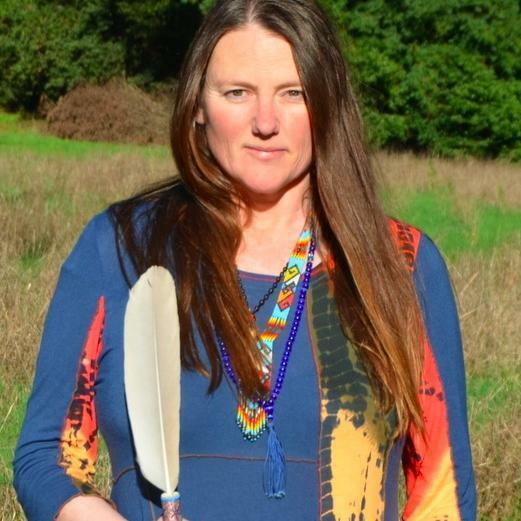 Certified Intuitive & Transformational Life Coach (LPI), Spirit Guide Medium, Akashic Records Reader, Sound Bath Practitioner, and founder of Spirit House Collective. Assisting you with removing blocks that prevent you from moving forward in areas of your life. Oracle or divine guidance readings if required. Via Zoom or Skype: Distant Healing, Sound, Visualisation, Intuitive reading and Soul body toning exercises. Darcey Leonard is a palm reader and empath who has been studying hands for over 15 years. She combines learned palmistry, sharp intuition, and pragmatic advice for a unique reading that will give you deeper understanding of yourself as well as action steps for the future. She is the creative director and producer of The House of Screwball, and founder of Tarot Society. 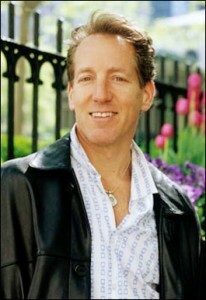 Dr. Barry S. Goldstein was born in Brooklyn, NY, and was raised in Oceanside, Long Island. He is a graduate of New York Chiropractic Collegeand has practiced in New York City for over 30 years. Dr. Goldstein has also been a member of the American Chiropractic Association since 1985 and has over 300 hours of continuous education in nutrition. He currently resides in Manhattan with his wife Dawn, ten-year-old son Jordan and dog, Cookie. 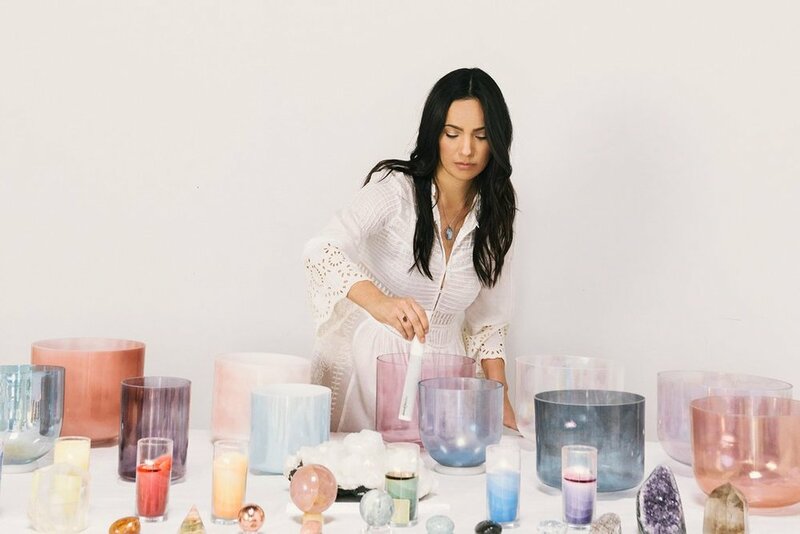 The idea for City Wellness Collective was born after Michelle, A power Guide and a somatic practitioner from NYC, moved back to New York from Berlin. While her practice thrived, she felt isolated as a solopreneur and felt a deep need for community and support in a busy city. The more she talked to other wellness practitioners, the more that need was echoed back. Her partner Dan, a business mentor, entrepreneur and internationally awarded photojournalist and who grew up and lived with intentional communities in Israel, agreed that holistic practitioners in New York needed more than a co-working space to thrive. Dan and Michelle created a space where practitioners could thrive, grow and feel grounded so that they could give their very best energy and full attention to their clients. But a physical spaces to practice was only the beginning. Because community isn't built within the confines of four walls, Dan and Michelle launched the Empowered Healers Network to connect, educate, and guide wellness practitioners all over the world in building sustainable practices they love. Great people connecting great people is how a community grows powerfully and joyfully. So whether you’re a holistic and wellness practitioner or seeking to be healed, you’ll find rejuvenation, grounded energy, and community in with City Wellness Collective. We welcome you to find space to grow powerfully, joyfully and heal with us. Camille’s journey began in 2011 when she received her first reiki healing, and knew afterwards that her awakening had begun. Since then she has been on a beautiful, challenging, soul-expanding journey of remembering and re-awakening to her highest self. She is eternally grateful for the trust, openness, and bravery of all those that come to her for healings, or even for deep conversations of spirit. These people inspire her to continue this work of helping others experience the joy of the present moment, oneness, and remembering that Love is the highest vibration of all. She is available for house calls in the Los Angeles area, as well as long distance reiki healing or tarot card readings via skype. Ashé. Hello! My name is Rebecca and I am at your service. It's my calling and it's my honor to assist you in your life. I have two mottos; first one , "stay where the love is always" , and second one, “finding YOU is the key”. I’m a spiritual guide, healer, and dedicated mother of 2 daughters. They are my everything! I struggled myself as a child , coming from an adopted family and a survivor of sexual abuse and found peace in a spiritual realm where I felt safe, and cracked open an insight to great knowledge. I know there is light beyond the darkness. I want to spread my wisdom and uplift those in need. I believe in you , and you will believe in me. Dr Claire H O’Neill, DC, FICPA, FICCT, BCCT has owned GFCA Wellness since 1993, focusing on women and family wellness. Dr. Claire is a sought-after lecturer, speaker and author on many wellness subjects including diagnostic skills, chiropractic adjusting, sports injury, nutrition and women’s breast health. She lectures for the California State Board of Chiropractic Examiners for doctor’s relicensing hours on Pregnancy and Pediatrics also, Clinical Thermography. Dr Claire O’Neill has her fellowship’s in Thermography as well as Chiropractic Pregnancy and Pediatrics. She has received her Clinical Thermography training from Dr. George Chapman one of the original pioneers of Thermography. Dr. Claire has been working with Dr Chapman DC, CCSP, BSCTP, DABCT, DIACT, DIACT, DICBE, FIACA., on completing her Diplomate in Clinical Thermography. Thermal imaging is one of the most effective tools for screening for early breast cancer and other breast health issues along with Neuromusculoskeletal, and Vascular issues. Dr. Claire will read your thermal images, write your personal 9-page report that will be sent to you by mail or emailed. New patients will receive a personal audio that follows along their 9-page thermal report for Free. Antonia Estela Pérez was born in NYC. Her connection to the urban world and culture is strong. This same love inspired her curiosity to learn the city's ecological and human history. It is through understanding of the plant's history of origin and migration that she has also been able to more fully understand herself and guide herself to a life of creative and collaborative service. Through observing the responses and shifts in the earth due to patriarchal and capitalist paradigms, Antonia centers her work in re-imagining new systems that hold foundations in land based wisdom. Antonia comes from a family of farmers and educators where plant medicine has always been used. 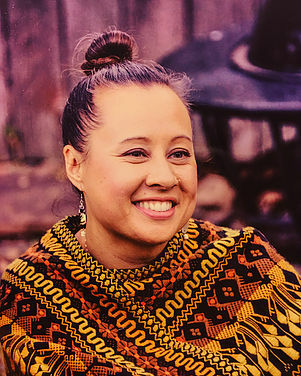 Antonia is a certified permaculturist, sivananda yoga instructor, environmental and social justice educator, reiki practitioner, visual artist and is currently enrolled at the Arborvitae School for Traditional Herbalism (she has studied with several herbalists and healers in the North East and in Chile). "Awareness unlocks the mind and frees the soul." Harriet is a skilled clairvoyant, tarot reader, energy healer and White Witch. Her spiritual path began in early childhood as Harriet began to experience visions and profound insights into the nature of consciousness. A long road of change and transformation eventually led her to Los Angeles where she lives out her purpose of being in service. To attune to her sessions, Harriet performs ritual magic to raise her vibration and create clear sacred space. More than a natural luminous body illuminating the sky, the Star holds deep meaning for Harriet and her work. Every Star is sparkling, unique and most vitally, a force of light that can’t be diminished by darkness. As an empath, she believes and works only in 100% pure white light frequency, which breeds a warm and loving environment for her clients as she makes direct contact with their guardian angels and guides. Clients leave a session with Harriet smiling and feeling uplifted, enlightened, inspired and aligned.